Thank you so much for sharing your journey, your passion and your “obsession”. I have always felt close to you, was amazed how much we are alike. Now after reading your blog I see so any similarities and celebrate sisterhood. It is brave to share especially when being such a private person and I feel grateful for having been able to read your story. Hugs to you, Paul and the furkids. One thing the internet has taught me is that so many people do care and are friends. It makes it easier to talk about past hurts which helps the healing process even more. What’s even more amazing is that so many of these dear friends – like you – I have never met in the flesh! So happy to know you Phoebe – Hugs to you, Andrew and your furkids – with extra cuddles to the adorable Tashi. Thank you for sharing this extremely personal and revealing article (not to mention links to my blog and books). The cuppycake cookbook is going to be awesome! It is incredible the power pandas have! It wasn’t until I found you that I realised others have been saved-by-pandas too 🙂 I am so happy to be working with you and your pandas! Count me as another member of the saved-by-pandas club. I always think I’m so weird and silly for getting so emotional about pandas, especially in the face of all the debate as to whether we spend too much on trying to save them. Seeing this article and these comments is a bit surreal. Glad you liked it. Welcome to the Saved by Pandas Club! It is never silly to get emotional about pandas!! Welcome to the “saved by Pandas” club. 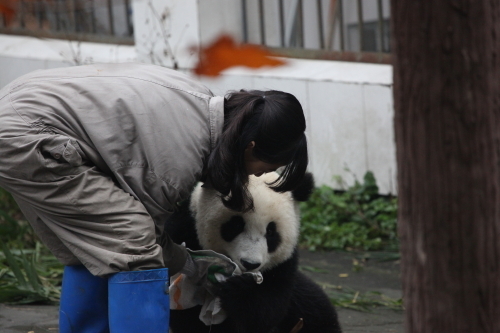 Until you experience the healing power of pandas, it’s hard to imagine. And I think they are worth every penny. Huzzah! please read this marvelous post my my compatriot in pandamonium, and co-author of the upcoming as soon-as-we-can-get-to-it collaboration, The Panda Chronicles Cuppycake Cookbook: Favorite recipes of the Panda Kindergarten. Thank you for re-blogging 🙂 I am so looking forward to your guest blog here! I am currently re-working one of our cuppycakes – I think it is going to be spectacular – Huzzah! Oh my goodness. What an incredible story and journey you have taken. The Giant Pandas have brought me so much joy. I am lucky enough to have had Bao Bao born on my birthday last year. 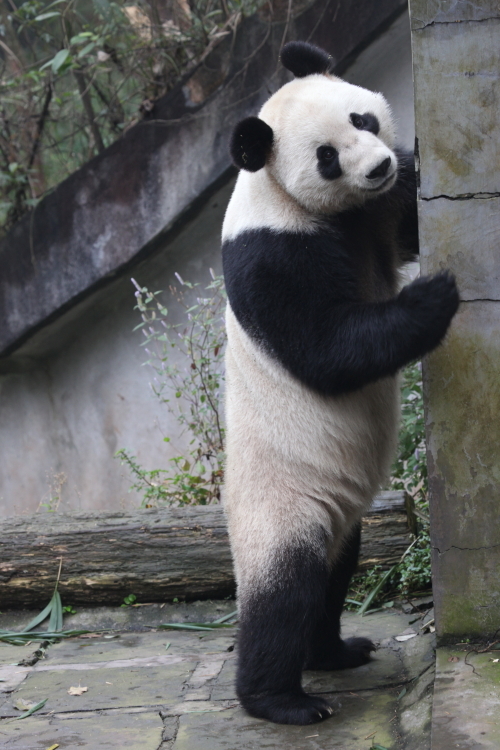 I plan to go to the Smithsonian National Zoo to celebrate with her and her parents, Mei and Tian Tian. Today happens to be Tai Shan’s birthday. I am thrilled to have read your beautiful story. Thank you for the tears of joy. You have certainly touched my heart. 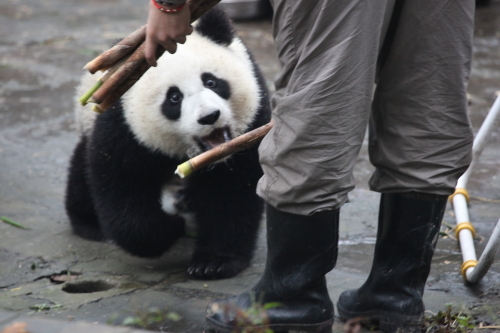 I didn’t realise that I posted on Tai Shan’s birthday! Thanks for letting me know. 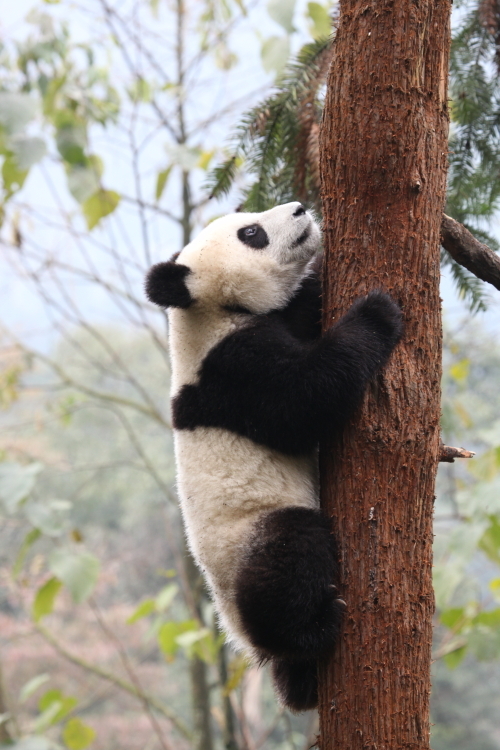 Wow – it’s quite an honour to share a birthday with the adorable Bao Bao! 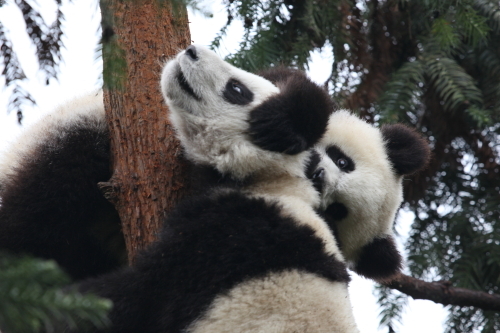 What a great way to celebrate your birthday – with pandas!! There is something so special about seeing them. They are so rare and so precious. A friend funded the trip to Washington, DC and it was so good for my well-being to go visit Mei Xiang and Tian Tian! 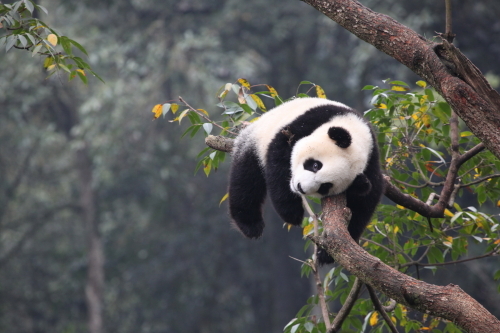 I’m going to try to keep the pandas in mind when I’m having a rough day with the neurological problems I still have. While I was in the hospital in November, my mother brought me my first stuffed panda, mailordered from the National Zoo, who I named Ms. Wu in honor of Mr. Wu in San Diego! 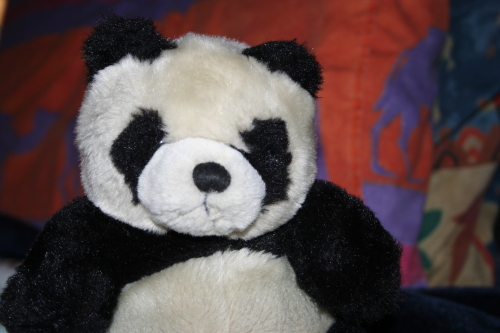 Then my cousin bought me a stuffed panda from Ikea, who I named Sven since he’s Swedish. 😉 I call him the world’s only polar panda. Anyway, thank you for sharing your story. I’m going to try to use pandas for even more inspiration than I already do! I watch the cam when I need soothing. Thank you so much for sharing your incredible story Nancy. I am so sorry to read about your health issues – they sound devastating. 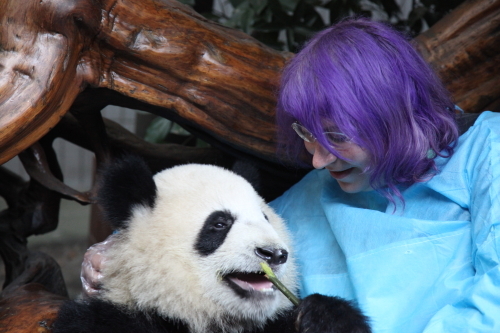 But how wonderful to have a friend fund a trip to visit pandas!! 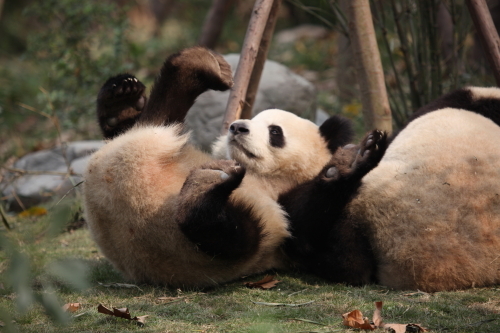 How cheeky of Princess Pinky Bao Bao to stay hidden. Thanks goodness for pandacam. 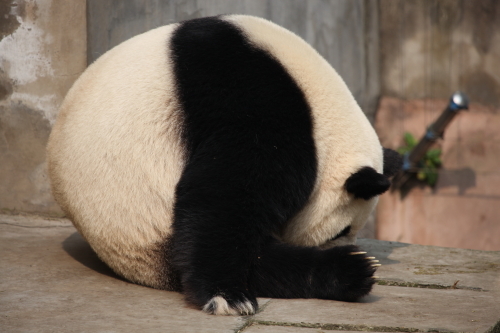 I am stunned at how many people have found pandas to be the perfect animal to give them comfort during the bad times. The Panda Chronicles have brought so many of us together. I wish you the very best and am happy that you have pandas around to give you strength and to keep you company during the bad times and the good times. Thank goodness that the pandas have helped your healing and that you also have such a supportive partner, otherwise we may never have had the pleasure of reading such wonderful writing. On a lighter note is it possible for you to make a panda ball cuppycake, they would look so delicious. Thanks again for your supportive comments Helen. A Panda Ball Cuppycake? Well I will just have to make that happen!! Thanks so much for dropping by and commenting. So happy you want to do more for animals!! I think I am crying, Hard. For what you went through, which you did not deserve. And because you might understand what I am fighting now, It seems as if I have been trapped awhile and that I am fighting my way out, physical, emotionally, mentally and spiritually. I very much admire you, You are my hero. Thank you for your beautiful words Candy. I am so sad you are going through so much turmoil. You’re not alone. We are here to support you.